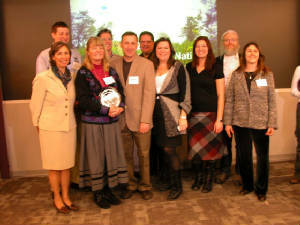 MOLA sponsors educational and social gatherings, hosts volunteer work days, and advocates for open lands in Mettawa. All Mettawa residents, friends and business neighbors are invited to join us. Meet your neighbors at a MOLA social/educational get-together. These events usually feature beverages/refreshments and one or more speakers on open lands topics with special interest for Mettawa residents. Join us for a community workdays to help fight invasives and promote native plant growth while having fun with your neighbors. 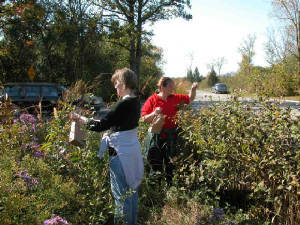 Past activities have included seed gathering and dispersal, and removal of teasel, buckthorn and garlic mustard. Workdays are a great way to spend some time outside with a great group of people working to make Mettawa a more beautiful place. MOLA advocates for open lands in Mettawa by promoting healthy land management practices and seeking opportunities to support Mettawa’s private and public open lands. MOLA is proud to have sponsored a long-term conservation research project with DePaul University at the Whippoorwill Farm Preserve (at the corner of IL 60 and Riverwoods Boulevard). This project, which examined methods of buckthorn control, won the prestigious Conservation and Native Landscaping Award in 2010.